I was recently asked to talk about the story of my style. Where it came from. How I found what I loved and what fit like a glove. And just how I knew that placing that piece with three of those over there was right. I didn't have any clue. 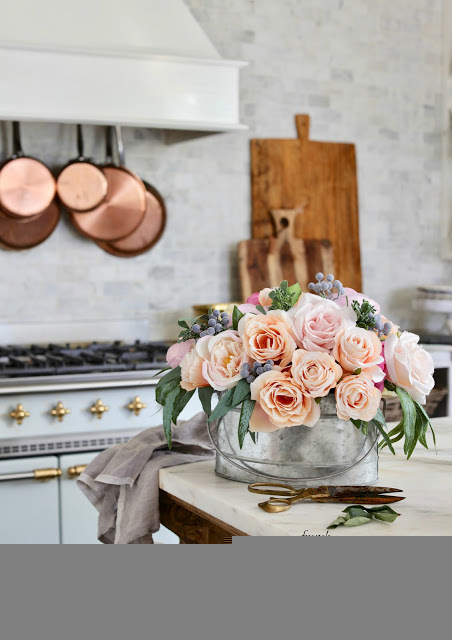 I don't know if ANYTHING that I do in my home or here on the blog would pass with flying colors when it comes to a professional designer looking at it. I probably cause a lot of cringing with my over the top use of flowers as accessories. That is me. Or the way my coffee table isn't exactly a coffee table all the time- and sometimes resembles a chippy old bench made out of fallen fence boards that were sitting on the curb to go to the dump... it's true. and answer with what I knew best. I decorate the way I do because... when I walk into a room- it makes me smile. The collection of bits and this and that and yes- those flowers- make me happy. I love to see patina- the more the merrier. 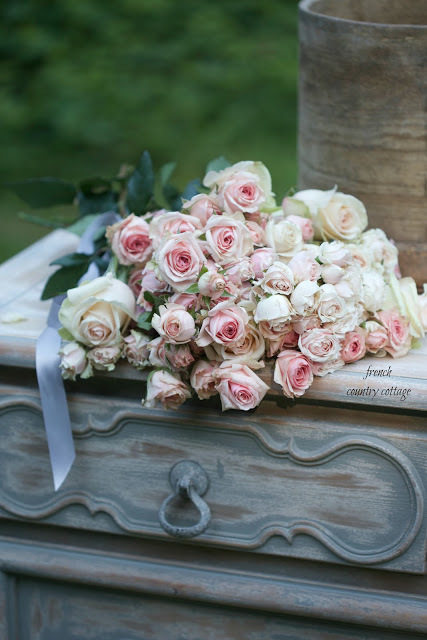 I am a firm believer in the less is more rule- EXCEPT for when it comes to flowers. Chandeliers. 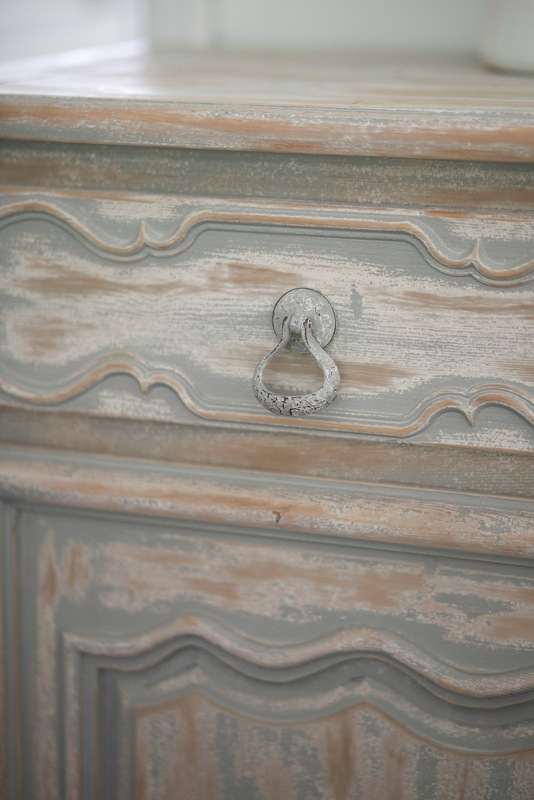 And anything with patina and charm. And... well, you know. :) Less is more- except for when it makes you happy. And this piece reminds me of that wedding saying... 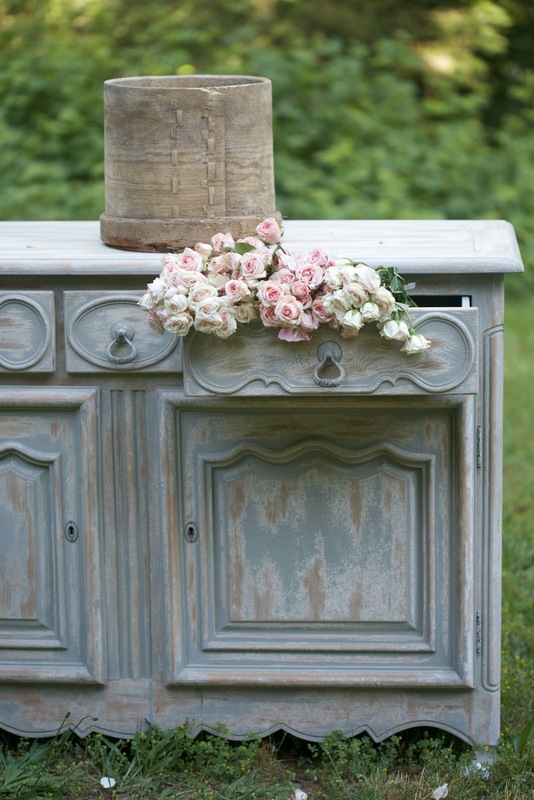 I love something old mixed with something new and possibly even something borrowed and just a blue. This cupboard is a perfect example of everything that I love in one.piece. Layers and layers of deliciousness. 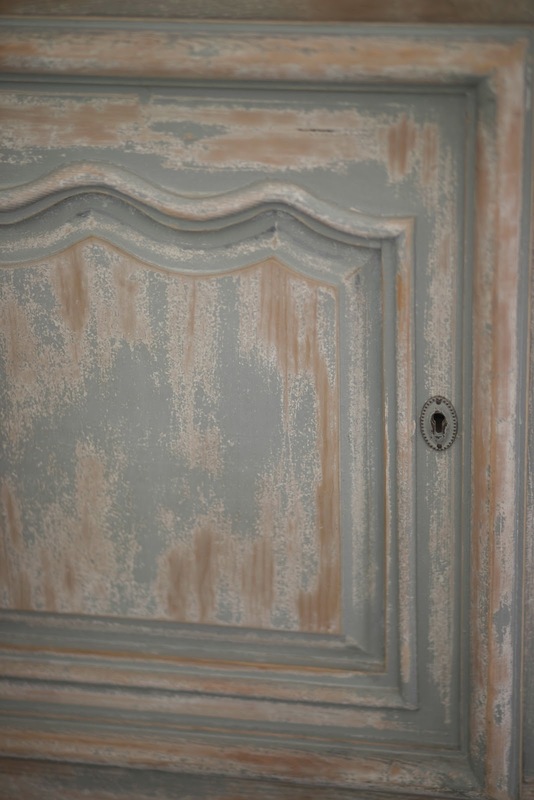 I mean... the blue/gray with the white and bare wood? Pretty much had me at hello. And the hardware that looks as old as it is new. Not to mention the carvings. I am obsessed. 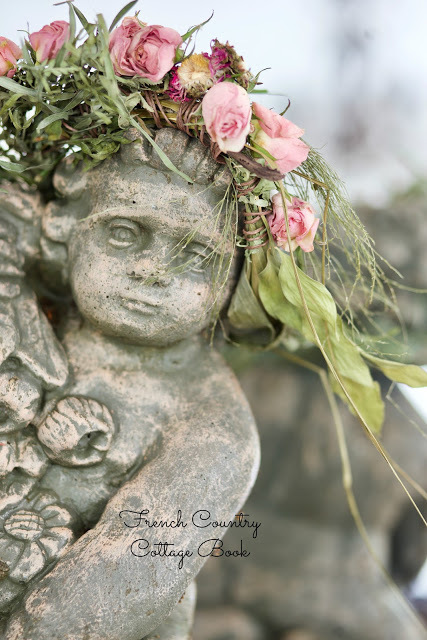 And as I shared last week, this cutie has a charming, crumbly old statue on top of it. And it is in my book. Which brings me to the FUN. Remember that giveaway I have been chatting about? The one all about celebrating the book and my book partners? I work with some of the MOST amazing brands out there. And then they wanted to help celebrate the release of it by giving away something to YOU. And so today is the first of several weeks of giveaways for you- and you are going to love this one. That gorgeous chippy cupboard with all those vintage details, oodles of charm? 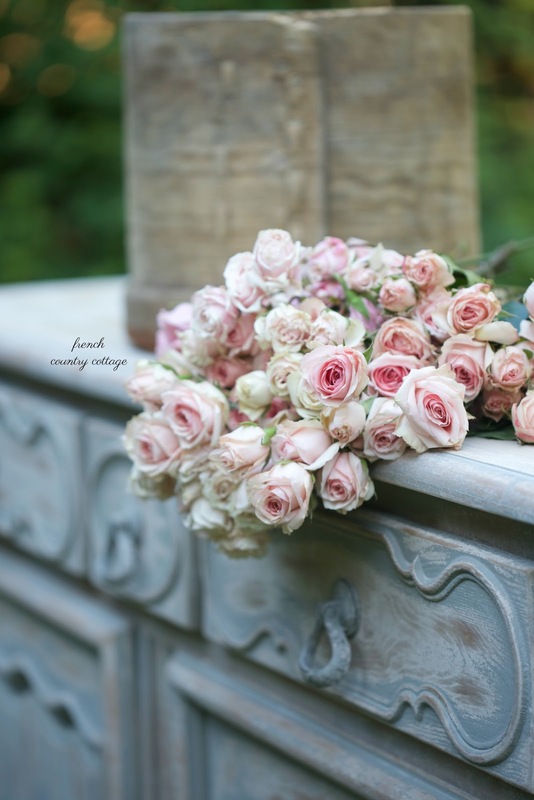 It is from Soft Surroundings. this chair and so. much. more in my house. to a French Country Cottage reader. You can buy whatever you would like. Bedding. Furniture. Clothing... whatever speaks to you and your style and makes YOU smile. Enter via rafflecopter- and leave me comments letting me know. and if you have trouble- let me know as always. and don't forget to save your pre-order receipts for the book for an extra entry bonus. You may be thinking of a pied-a-terre,a small living unit some distance from an individual's primary residence. 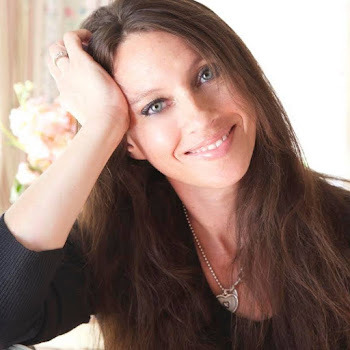 I'm a French reader of this beautiful blog. The expression we use for a small well decorated place is "un nid douillet" i.e. something like "a cosy nest". 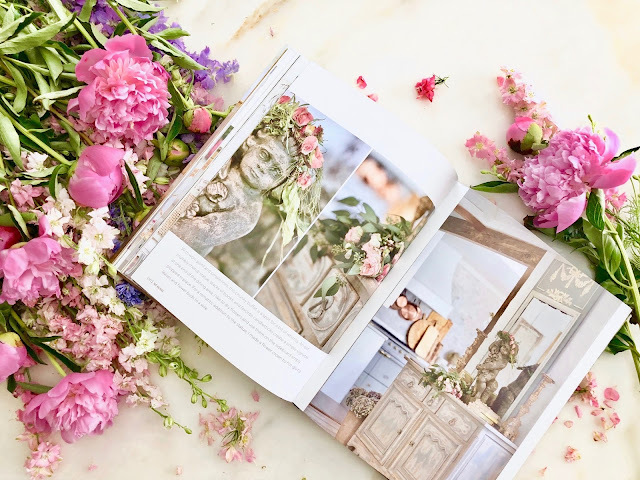 I do also love the word "sanctuary" that Shannon Abble from the francophile blog TSLL uses for her beloved home. I'm a French follower of this beautiful blog. The expression we use for a small well decorated place is "un nid douillet" i.e. something like "a cosy nest". I do also love the word "sanctuary" used by Shannon Able from the francophile blog TSLL to describe her beloved home. 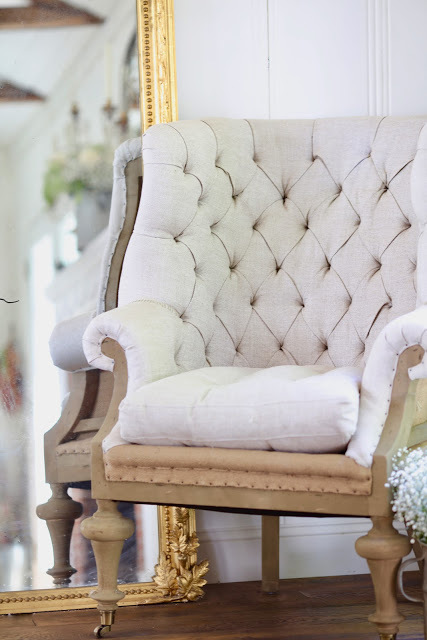 Oh my Frenchly goodness Courtney, Soft Surrounding's Fontaine Wingback chair is the source of my happy dreams! I plan on purchasing two of them. I just moved to a new place and have the perfect spot that is just waiting anxiously to be adorned by them! I knew about their clothing but had no idea they sold furniture until you displayed it on your beautiful blog, and now I'm obsessed. Congrats on being their first blogger and congrats on doing such a great job for them, you definitely turned me on to their furniture and now I'm in love! I just entered the giveaway! Is the book hard cover!I was hoping it be, such a pretty cover. But the google play said its a video! Not sure if I am reading that correctly! 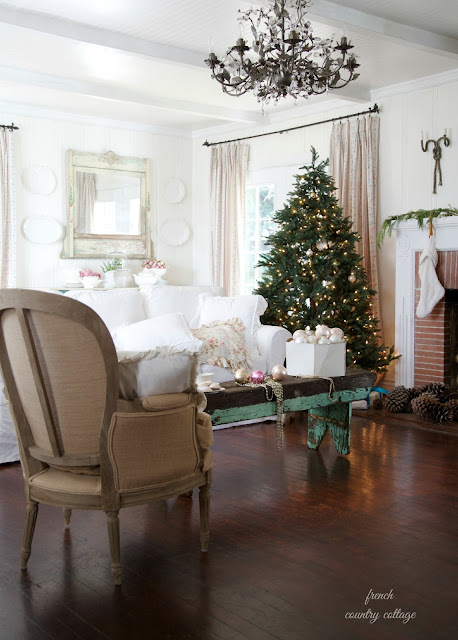 Love Soft Surroundings. I get their catalogs and want to buy everything! I also love your blog, so many beautiful things to look at. Everything is so gorgeous I'm so glad to find this site! I'm following you on IG! I love the Boleyn Shirt, the South Beach Tunic, and Allegory Linen Dress. I love the furniture, ooh. So exciting you and soft surroundings are indeed the perfect pair! I preordered your book a few weeks ago, cant wait ! I hope I'm entered! I love that wing-back chair, the cabinet is to die for. How does one pick a fav? My style is very similar to yours. 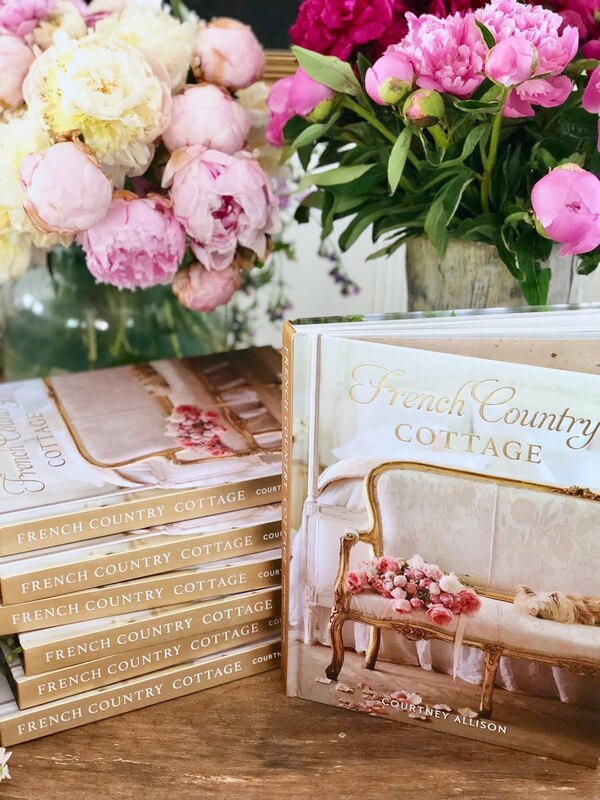 French Country Cottage, neutrals, a pop of color. I think decorating should always be about what makes you happy. If it works for you...then it works! I just entered the Soft Surrounding give away, what a generous gift card! I have been a customer of Soft Surroundings for years love their stuff! I also pre ordered your book when you first announce it can't wait to receive it, keeping my fingers and toes crossed about the give away :). Just entered! Thanks for all the ideas you share with us and all the joy and beauty. Love your blog and style. I just love your style of decorating. And I love Soft Surroundings ..especially the clothing. Everything is just so pretty! I already follow them on IG and FB . I would love the Madelyn Accent table. I love how you have decorated your home. The pink flowers with the patina finish is so sweet. I love it! I love all things ticking. It always makes me feel cozy. Thanks Courtney. You have such a beautiful home. Love your style. I would pick one of their outdoor rugs! Hoping that my entry registered on rafflecopter. 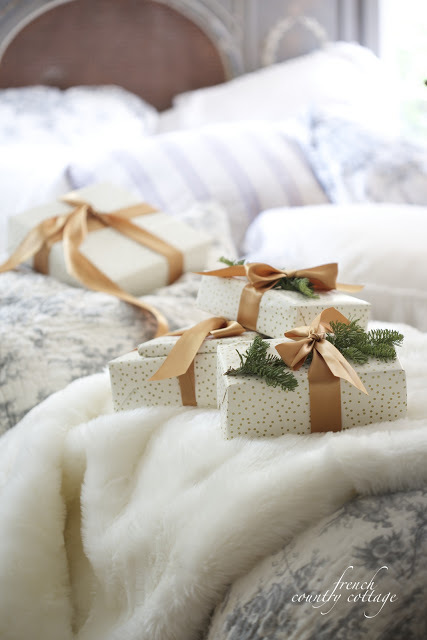 I adore Soft Surroundings bed linens and pillows, and your styling always makes me swoon, ha. Am looking forward to spending some quality time with your book! I love your style. I enjoy receiving your emails and following your journey.Your blog is always inspiring. Your style is absolutely amazing! And I adore the flowers! I love the canes bed from Soft Surroundings... I think I'd choose that.. Such a wonderful giveaway Courtney. Thank you. I appreciate that you share little stories or some interesting details about treasures that you find! Thank you for sharing a give away. I love your blog and check it every day. I just made an upholstered headboard for my guest room so I would buy some beautiful bedding from Soft Surroundings. Thank you so much!! You can pre-order at Amazon or Barnes and Noble, etc. - the link above takes you right to it. Thank you for the great opportunity to win this amazing giveaway! Your home is so gorgeous! Keep using all those beautiful flowers because they make me smile, too. I have followed your blog for quite awhile and always enjoy seeing your ideas. As a francophile I am interested in any design with a French flair. I did not realize Soft Surroundings had bedding, rugs, furniture; thought it was just clothes and jewelry. I was particularly interested in the peel and stick wallpaper as I am planning to redo my parent's house and thought that would be good for an accent wall in a bedroom or for a bathroom. 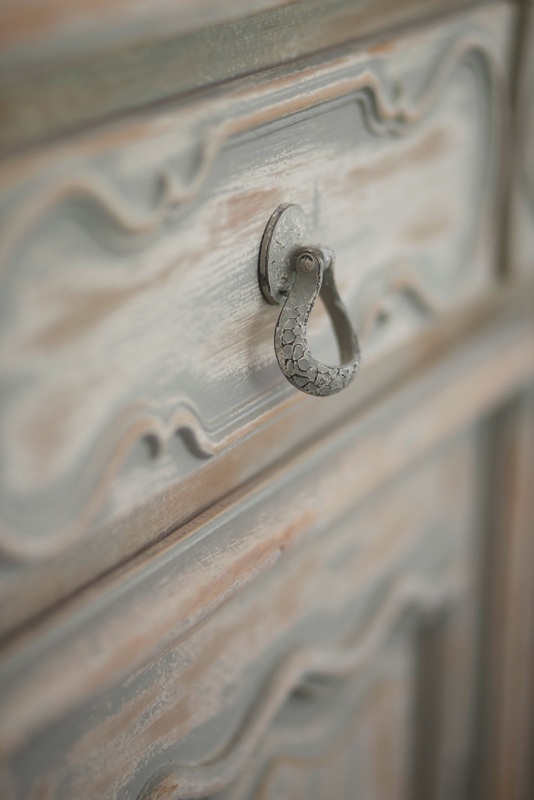 I've always loved old carved wood/painted items, metals and woods with patina and so forth. 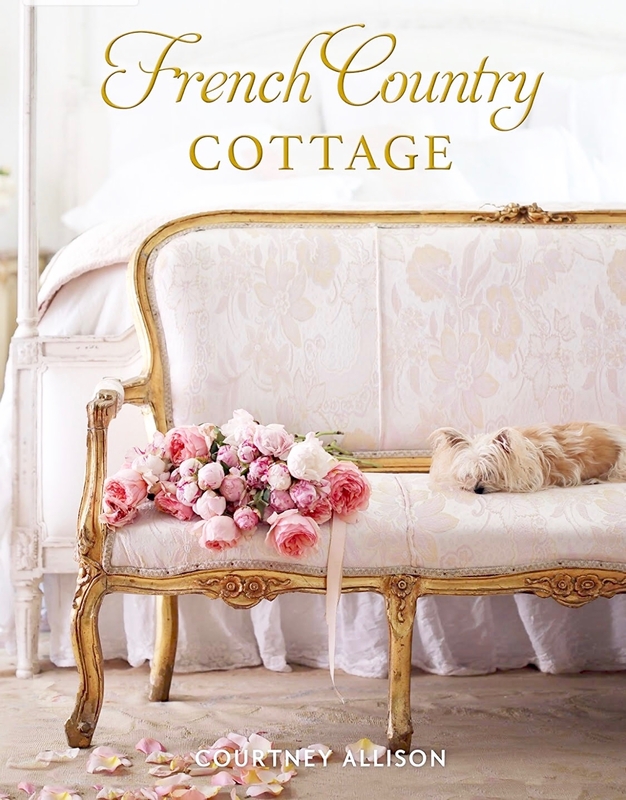 Just realized that it can also be described as French Country style. My husband lived/worked in Paris for 2 years (before we met) and he loves how I'm starting to add in this style of decorating into our home. This is the Soft Surroundings item that is making my heart go pitty-pat! 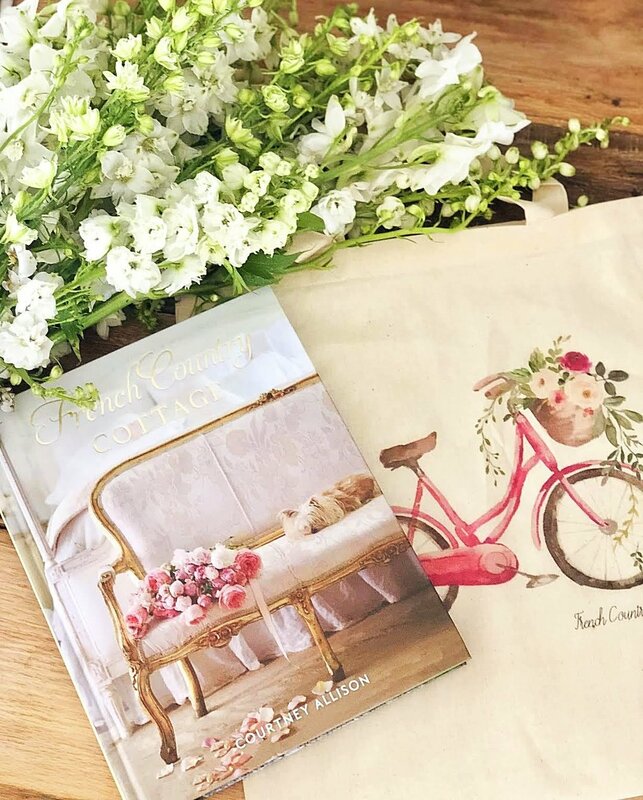 Love your blog and Soft Surroundings. Loving the Lyons Mirror and the Balloon drapes. I just learned about soft surroundings through your giveaway and I have to say I have really been missing out! They have all the things that I love! From the clothing to the furniture, it is all right down my alley!! Thank you so much for sharing! I thought that I commented a few days ago but upon checking I’m not seeing my comment �� We are will be moving into a new little place and the Fontaine wingback chair would be a dream come true!! Thank you and Soft surroundings for this generous giveaway! I Entered. I would like to Thank You for hosting such a wonderful giveaway and wish everyone Good Luck! You have a beautifully decorated home that looks like it should be in a magazine! I just "liked" soft surroundings on facebook. I love that chair, by the way and love your blog.